By pure chance, I stumbled upon an old document which contains some of the original background info from the early days of Glorwing. Aside from "historical value", it can be interesting to see how the concept was originally designed. Most of it is still correct. Glorwing is a young world, discovered about a hundred years ago by a young mage, called Gilmor. The mage was trying to make a love-spell when he accidentally created a rift in the fabric of space and time. Gilmor reported this to the proper authorities. After the initial confusion, the King decided to send an expedition to explore the new world. The expedition was diplomatically selected from all the peoples of the kingdom: Elves, Dwarves, Halflings and Humans. Alas, as soon as the expedition entered the rift, it closed. Despite desperate attempts to open the rift again, nothing worked. The rift seems to be closed forever. The expedition accepted their sorry fate with surprisingly good grace and began to explore the land of Glorwing. Now, a hundred years have passed. The descendants of the members of the Expedition have settled a few villages, scattered over the vast land. Most of the land is still unexplored wilderness. Rumours of an ancient civilization abound, but the citizens are busy enough providing food and shelter, so little exploring has been done. There are proof of the ancients, the portals. In several places around the world, there are portals, magical portals that can whisk you away to another place with the speed of thought. The portals all lead to the same place, called the Standing Stones. The Standing Stones is a strange place, anchored somewhere else in time and space. No-one has managed to solve the riddle of the portals and the Standing Stones, despite years of trying. During the years, settlements have grown around the portals. Some are just poor hamlets, some are rather prosperous cities. Darkwoods is a typical Elven settlement in the middle of a great forest. The Elves live in peace despite all the wildlife around them. Most of their enemies have learned not to bother the village. Most of the Elfs are satisfied with their life in the village but the society is tolerant with young Elven adventurers. Elves can often be found far away from Darkwoods, exploring or just enjoying the scenery. Blacksilver City is the main Dwarven city. There are lots of minerals in the mountains around Blacksilver City, so the Dwarves spend their time mining and smithing. Sometimes, Orcs or Trolls or other monsters try to invade, but so far, Blacksilver City has withstood all attacks. Port Sunrise is the oldest settlement, founded on the very spot where the initial explorers set foot on Glorwing. Here most of the Humans, Halflings and Gnomes have made their home. This is by far the largest city on Glorwing and Port Sunrise is always teeming with life. The self-styled King of Glorwing resides here. King Victor Lumen III is the grandson of the original exploration group’s leader. Most citizens tolerate the King good-naturedly and since the King gives good advice (although the King himself sees this as laws and royal decrees), most citizens are content with his antics. The King has also organized the militia in Port Sunrise in a semblance of order. The Sun Guards are mostly ceremonial, but nevertheless capable of keeping the wildlife and wandering monsters outside the city walls. The Delta is a small village in the middle of the delta where a large river empties into the southern sea. Since the village is always pestered by mosquitoes, snakes and lizards, it’s not a very popular place. Unless, in case you need to hide for a while. The Delta host an amazing number of rogues and villains. Depraved lifestyle is an art in the Delta. Far north in the mountains, Eagle’s Nest is a small village where the hardy settlers are trying to build their future. Eagle’s Nest is popular with mages, since the high and clear air makes it easy to study the stars and moons. Most people in Eagle’s Nest are hunters and miners and they import most of the food through the portal from Port Sunrise. Deep into the southern deserts, a portal lies beside a spring. Around this, a small city is growing. There are many strange places around Dry Town, which has lured many an adventurer away from his home. Dry Town is a dangerous place and the Dry Towners barely manage to keep the wildlife at bay. Crescent Bay is the youngest settlement, far west. The village lies on the west coast in a wide bay. The village is expanding rapidly and the need for explorers and adventurers is large. The mayor is a young dynamic woman who is always looking for ways to make the village grow. Player’s info and background stories. All new characters start in the Standing Stones. You can choose your background freely, but remember this is a young world, settled only a hundred years ago. Nobility is unknown, think of this as Australia or the Wild West 200 years ago. Think frontier, primitive society and free spirits. When you make up your background, try not to make your character a major player in the world. You could be well-known in your village, but not nobility, son of the mayor, leader of the tribe, please. Spend more effort in thinking about how you wish to RP your character, rather than inventing a colourful background. Last edited by Cornflower on Fri May 28, 2004 3:53 am, edited 2 times in total. Credit to Cornflower for all of the following posts. by Frederick Wright, city clerk and amateur historian. Port Sunrise is the young capital city of the Kingdom of Glorwing. The elves of the Darkwoods and the dwarves of Blacksilver City recognise Port Sunrise as the human capital and maintain strong alliances with this great city. The history of Port Sunrise began over 120 years ago on another world. A mage called Gilmor opened a rift in the human country of Kelonde, in the world of Drakmark, to the world of Wilwarin. The king of the human lands appointed his most trusted member of the Royal Court, who was also the most highly decorated, to command the expeditions to this new world. The Commander took teams of craftsmen and their families through the rift along with a military contingent that contained many half-orcs. The king also sent Sebastian, a member of the royal order of mages, to aid the Commander and to research the rift. The explorers found themselves by the sea, where the sun rose in the morning, with fertile farmlands all around. The explorers were puzzled by a raised stone platform in the vicinity. It was a sign of intelligent life but it was overgrown and appeared abandoned. The humans on Drakmark were allied with the dwarves of the Harad-Ram mountains and the elven nation of Carandor. Hearing word of the rift the dwarves and the elves thought that the new world could hold wonderful new resources and so they negotiated with the human king to allow expedition teams of other races. So the elven and the dwarven communities traversed the rift to Wilwarin. The Commander’s personality was very congenial and he was a natural leader. He was very charismatic and those of other races that ventured on the expeditions recognized him as the leader. Since the initial expeditions were small, the original charter held that all lands were directly under the influence of the Commander and the governing council. The small village of Port Sunrise was coming along nicely when Gilmor’s rift closed in a shower of sparks 121 years ago. Try as they might the mages of all races could not re-open the rift. They were all stranded. The people reeled in despair, they would never see their families in Drakmark again. Things could have turned ugly, people could have done anything in their grief, order could have degenerated into chaos. However, the strength of personality of the Commander shone through the despair like a beacon. He was quick to maintain order and morale. He rallied the people and they found strength. One day the Commander stood on the raised stone platform, as he always did to make a speech. This time however, he disappeared before everyone’s eyes! Stories tell of him returning just moments later with eyes as big a saucers. Gasping he revealed that this was some sort of transportation device that could enable them to explore the world. Mages later theorised that the portal in Port Sunrise didn't work until the rift was closed due to the interdimensional magical interference disturbances. As it became clear that the travelers might be here for some time and the various lands began to be explored, those the Commander gathered to lead formalized a decree that the Commanders family line would be recognized as the heirs and rulers of these lands, the Kingdom of Glorwing. However, the Commander wasn’t fully accepted as the king by the masses until the Divine Event. Lumenya, the Lady of the Light came to the aid of the settlers during a drow attack. The drow attacked at night, but that morning the Sun came up many hours earlier than usual, rising over the sea and cast searing hot light on the drow that sent the drow fleeing in all directions. The sword that the Commander used captured this light and he was able to slice through the drow like butter. After this day the Commander was accepted as king by the masses and he became known as King Victor Lumens – the victorious light. After the Divine Event many of the military gave thanks to the Lady of the Light, and began to routinely pray to her. The Lady blessed these noble warriors with divine favor and they became paladins of the Sun. Exploration began. The first team set off from the isle that became known as Aale Standing Stones through the closest portal and founded Blacksilver. After a few years Blacksilver had provided the Kingdom with enough resources to continue exploring. Victor sent teams were through other portals, working from east to west in a systematic fashion, not exploring the next portal until hostilities towards existing settlements were taken care of. It was always ensured that some of the paladins of the Sun were left in each settlement to help the settlers. These soldiers became known as the Sun Guards. Victor also encouraged exploration by sea. Several ships were built and set sail from Port Sunrise harbor but some of them never returned. It was assumed they had perished. The City of Port Sunrise began to grow. Within the protective large stone walls, the settlers began constructing the Palace for Victor, the Academy of Arcane Arts for the Royal Archmage, Sebastian, and his mages so they could continue searching for a way home and the Temple of Sunrise was also constructed. The Trade Guild, assembled from the master craftsmen that came through the rift, thrived at this time, designing and constructing tools, weapons, armour and clothing for the young Kingdom and so the Trade Guild Headquarters was constructed. Barracks for the Sun Guards were built in the inland corners of the city wall and the Sun Guard Headquarters, with its now feared dungeons, was built close to the port to watch for hostilities from the sea. With the growth of Port Sunrise came the increased growth of public health problems and so an elaborate and extensive sewer system was built under the city. The Port Sunrise sewers soon became infamous throughout the kingdom for their odour and vermin. During the numerous, yet sporadic, attacks on the various young settlements a young paladin of the Sun caught the attention of the elderly Victor Lumens. He fought well and showed great judgment. Over the next few years as the elderly Victor Lumens grew weaker, the young paladin became his champion. As Victor had no children of his own, and he knew he would soon be joining the Lady of the Light, he chose the young paladin to rule over the kingdom. Upon Victor Lumens death the young paladin took the name Victor Lumens II to honour both the man and the victorious light. During the reign of Victor II the settlements thrived, especially Port Sunrise. A city council was appointed to co-ordinate the day to day running of the big city and to co-ordinate help that was required kingdom-wide. During this time the Trade Guild with its male prestige and mighty traditions began looking for a new leader. After much debate and dissention a woman was appointed, the talented and very untraditional Victoria Cornflower. Victoria served for many years as the Leader of the Trade Guild before passing Leadership onto her great aunt, Emily Cornflower. Also during this time, Gilmore was appointed royal archmage and Adriana Elversult was appointed Commander of the Sun Guard. Within the Palace, Victor Lumens II had married and the queen was pregnant. Sebastian, who was enraged at not being chosen to succeed Victor Lumens, plotted against the royal couple. One of the attacks he masterminded, succeeded in taking the life of the pregnant queen. In the absence of any heirs, it was widely thought to be strange that King Victor II did not re-marry. The assassination of the elderly King Victor II was masterminded by Sebastian, now a spectre that was still trying to ascend to the throne. The Pretender, as he was known, put up taxes immediately as he came to power. The spectre would only pass on if it could be proved that Sebastian had no claim to the throne because of King Victor II’s true heirs. There was great surprise in the throne room when the late queen’s necklace illuminated an unusual crown shaped mark on the accomplished and well-respected warrior known as Takezo. As there was a true heir to the crown, the spectre of Sebastian had no claim and passed on. Later, it was deduced that the late queen, who was a sorcerer, had given birth before her death and had marked her sons to respond to her necklace. The true heirs had then been hidden from the murderous Sebastian. Takezo assumed the name King Victor Lumens III, as was now tradition, but only reigned for a short period of time. During this time Alypia Kalypso became High Priestess of the Sun Church and the saga of Sly and Tokana threatened the Kingdom. Angele Ju’end was appointed Commander of the Sun Guard temporarily during Adriana’s leave of absence, rumored to be due to severe illness. King Victor Lumens III reign was cut short due to diabolical intervention. When Queen Aroha was pregnant, Adriana Elversult, after following a trail of blood and demons, found a portal to a hell-like dimension in the private chambers of the royal couple. She contacted Commander Angele who assembled a team of royal champions including the royal arch mage, Gilmore, to traverse the portal and look for King Victor III and Queen Aroha. When the rescue party found the royal couple they were shocked to find that Queen Aroha was no longer pregnant and the young Prince Victor was a strapping 18 year old man. During the escape from Hell, Queen Aroha fell and King Victor III remained to finish off the Blood Demon General along with Commander Angele and other royal knights. Commander Angele passed the Commander’s badge back to Dame Adriana who was now responsible for getting Prince Victor out of Hell. Lord Gilmore was lost as he could only close the portal from within. Once safely back in the Palace in Port Sunrise, Commander Adriana announced that the king was dead, long live King Victor Lumens IV. During the reign of King Victor IV Port Sunrise continued to thrive. Mansions were built or renovated by wealthy adventurers and several guilds had their headquarters built in Port Sunrise. King Victor IV married Isolde in the main Palace reception room, which was well attended by many citizens and heroes of the realm. Feith was appointed as the new Royal Mage and upon Commander Adriana’s passing, Dame Ailinn was appointed as the Commander of the Sun Guard. Dame Ailinn was then succeeded by Lady Dawn. The Trade Guild took on a new apprentice, Dvaroc Hammerhand, who quickly rose through the ranks becoming Mastersmith and Vice President and then President of the Trade guild as Emily Cornflower retired to honorary chairman. High Priestess Alypia was absent to pursue a personal pilgrimage after battling with the Shadows and being saved by The Light. Deputy High Priestess Shakra became the figure head of the Sun Church. Also the Glorwing Gazette first went to the printing press. The Trade Guild took on a new apprentice, Ananiel. The Kingdom became under increasing threat from a multitude of hostile forces. Multiple drow attacks left citizens “marked” or “tagged” with earrings. Those people were prevented from taking part in the large battle against the drow that took place in Port Sunrise. The tagged citizens could not even approach the portal from the Standing Stones into Port Sunrise without becoming sick or unconscious. Soon, tragedy struck the royal family again. The queen and the baby princess, Victoria, were kidnapped. King Victor IV, with members of the royal court, including Duchess Edarinna, Duke Natis and Lord Anen went to their rescue. Duchess Edarinna told the Gazette how Queen Isolde and Princess Victoria were saved but King Victor IV fell and how the Lady of the Light took King Victor to the heavens where he became The Helmsman. Events around this time led to Commander Dawn being executed for treason. Shortly after, Queen Isolde, the baby princess and Feith, the royal mage, disappeared in the night. There were no signs of foul play and rumor had it that the queen had fled Port Sunrise on a ship that left from Crescent Bay. During the Final Battle, 120 years after the closing of Gilmor’s rift, some of the Sun Guards retreated to the Palace and the Helmsman lead others in Port Sunrise to safety. When people returned to Port Sunrise one year later the only sign of battle was the hollow ruins of the Academy of Arcane Arts. However, soon life returned to normal, the city council continued to collect information on employment opportunities throughout the entire realm, Ananiel became the new President of the Trade Guild and Dame Edarinna became Commander of the Sun Guards for a short time before retiring from the service. Baroness Emelina Steelwind succeeded Dame Edarinna as the Commander. Port Sunrise is currently without a residing monarch, and the regent is Lord Anen of the Darkwoods. It is not known if Queen Isolde and Princess Victoria will ever return. ~ Portion from the Lay of the Lost written by the High Bard Meliniel in the first years of the establishment of the Elven home of Darkwood (Original script remains in the library of Lord Anen Tane of Darkwood – this translation into the Common tongue of the Sun Kingdom undertaken with humility and diligence and with the complete loss of its poetic power by Defunctus Illmus, clerk in the service of the Order of Erudition) Historical updates dexterously added to reflect impact on modern events. ...Many among of our number now name us the lost, the bereaved, the exiled. But if this be exile it is truly one of our choosing and our poor fortune. Three greater clans entered the rift in the great migration to found a new elven home in this new and beautiful land discovered by chance and misadventure. This is the tale of their great undertaking and great loss. We came in freedom and anticipation of what we might make in this wild new place. With people of many races we left the ancient forests and cities of our ancestors, and the glorious culture of our long history to start a new outpost here in Glorwing. Elvenkind was lead by Maglor Windsong of clan Windsong, foremost of the houses to hazard the rift, and although we traveled with humans, Halflings, and Dwarves, we sought in this new land our own lands and home where the spirit of elven culture could be nurtured. Our scouts soon discovered the vastness of a great wood to the North and West of the rift, and the town first made by the humans. This woods deep shadows and solemn halls of living trees spoke to us and there we settled under its great boughs and roof of leaves. Darkwood it was named and our home it became. I speak now of the first of the sorrows, the exile from our kin across the rift. For not long after the migration the rift closed and no power or exertion or talent could reopen it. We were a sundered people and for our race that is no easy thing. And yet we endured and prospered in our new home, creating a land of our own even as the industrious humans raised the foundations of the Sun Kingdom and named a King. It is often said that sorrow begets sorrow and so it was that the second woe befell us as we sought to undo the first. A mage wrought portal was found deep within the wilderness that borders Darkwood, a working that our spellbinders considered must hold an answer to our estrangement from our ancient home across the rift, and perhaps also a solution. In haste, without sufficient wisdom the arcane bindings upon that portal were unwoven and some evil we cannot name was released. All that witnessed this were slaughtered immediately but one. A elven sorceress by the name of Uruviel Tîwele who died later of the consequences of the great magecrafting they had undertaken and which had drained her beyond recovery. Yet her story was told before her end and she passed to the Lord of the Elves Maglor Windsong, a journal containing the research of the Mages that had found the portal. After a short time the raids commenced, not the stray forays by orcs and dark elves but now concerted, organised and malicious assaults. In that time the Council of the Elves wondered that some driving force lay behind these raids, for they seemed founded on fore knowledge of the movements and plans of the elves, and traitors were feared. At this time, although it was not a thing we welcomed, the Darkwood was deemed by King Victor Lumen II to fall within his domain and lie under his writ. As evil gathered around Darkwood however this alliance with humankind became valued and a trust that would endure was born, a trust that led to a greater independence for elvenkind in the reign of his successor Victor Lumen IV. This was to become the time of greatest woe. And it was during this time that much that shaped the future of Darkwood unfolded. In these dark days the kin of the true Lord of Darkwood were slain and their son captured by Orcs and later liberated by a warband led by the ranger Elith Genossen. His captivity and loss of his parents was to forever change this elf lord and it is said in this time that he first came under the protection and guard of the Quiet god, whose temple he later raised in Darkwood. In this time we were greatly assailed by enemies and much lost. The entire clan of Nevarr’t’Lietan was captured enroute from their lands to Darkwood. They passed from knowledge of the elves. Even into the very heart of Elvendom in Darkwood stole an assassin to shed blood in the chamber of the Elven Council. This failed but the assassin chose death over capture. Upon his corpse was found an enchanted blade wrought with all the mastery and evil cunning of the Drow. Most chilling though was the belief that the enemy had breached the Council only with knowledge that few among the elves knew. They could trust no longer in the belief that no traitor worked against them. It was considered beyond doubt that an enemy plotted the destruction of the elven settlement and none had forgotten that some nameless horror had been released in the wood. In the face of relentless losses and against a nameless enemy the Council was disbanded and Isendel Windsong made Lord of Darkwood to hold the lands of the elves with the support and supremacy of the Sun King. But in great secret a few who knew trust in each other forged three amulets and gave them to three elves. One of those elves was the true lord of the elves, descended from a line ancient even in the world beyond the rift. The amulets would reveal this in time and when the faceless enemy was ready to be overcome. The rise of Lord Anen has proved pivotal to Darkwood. Foremost amongst his achievements is his success in negotiating with Victor Lumen IV semi independence for the Elven state under its own laws. In addition he is credited with the reinstatement of the Elven Council, strengthening of the Elven Guard, patronage of the newly formed Astalderea and support of the Church of the Quiet God. Most recently upon the tragic demise of the King he was appointed Regent of the Sun Kingdom and executor of the sealed pact of King Victor Lumens IV. He lead the survivors of the cataclysm from the safety in the Standing Stone when the year long reign of Dark gods was ended. Currently the settlement of Darkwood is noted for its beautiful natural setting and characteristic elven architecture (refer article - the Darkwood renaissance and the restoration of Pre Rift Elven Classical Revival Architecture). And yet it remains a haven in the great wood beset as it is by many dark enemies. It was over one hundred years ago that the human king, Victor Lumens, sent the first expedition team through the closest portal at the Standing Stones to the Port Sunrise portal. These explorers breathed in the cold crisp air and realized they were high in the mountains. Abundant blacksilver ore formations, from which the settlement was named, were discovered in the area. In addition, other rich mineral seams were uncovered including iron, copper, nickel, tin, and lead that were much needed for armour and weapons. Over the next few years the composition of the early explorers changed as mining, smelting and smithing became the focus of the area. Our man, Flagg Thunderfist, who had lead us, the dwarven contingent, from the old mountains of Harad-Ram on Thorander (though the humans called it Drakmark) through Gilmor's rift, realized that this was a place we stranded dwarves could call home. In the early days Blacksilver was troubled with foul, pox-ridden ogres and trolls. The small watchtowers that we built on the north, east and west sides of the settlement were destroyed in battles. But we fortified Blacksilver by building a strong city wall. The human king, Victor Lumens, always made sure that some of his Sun Guards were present in our city to protect the portal, which in turn would protect the Stones and ultimately protect the human capital of Port Sunrise. We didn't mind as Port Sunrise was our main trading base. The gold coloured armour of the Sun Guards reminded us of who our best gold-paying customers were. Luckily, the Sun Guards were fine warriors indeed and fought well by our sides to protect Blacksilver. Eventually we beat the weak and cowardly ogres and trolls into submission and our fair city of Blacksilver became prosperous under Flagg, the first Mayor, as we dwarves supplied the growing Kingdom with armour and weapons. Blacksilver metal was never used in armour or weapons though. It had strange properties that were activated when the ore was processed. We have not yet learned how to harness the power of blacksilver although we believe the time will come. The blacksmiths of Blacksilver to this day purchase blacksilver nuggets as they try to develop alloys that could be used in weapons and armour. Word of our skills travelled wide. Sometimes the words fell on the wrong ears. A tribe of vile, horrendous gnolls moved in to the west of Blacksilver. The gnoll chieftain liked dwarven axes and the gnolls would steal them and then modify them so that they dripped acid. Then a tribe of loathsome drow moved in to the east of Blacksilver. Vifur, the landlord of the Silver Inn would offer freelance workers gold to keep the gnolls and the drow at bay. It was the end of an era when our great and esteemed leader, Flagg, retired due to ill health. To non-dwarves this would be during the reign of the human king, Victor III. The second Mayor of Blacksilver was the noble Hohtel Stonepriest, a cleric of Grim. Under Hohtel, Flagg's Blacksilver Arena of Contests gained fame and infamy. Adventurers would flock to see everything, from gladiators to mages, battling it out to become the Champion of the Arena. Around this time, a group of warriors, calling themselves the Antlered Horde, came to the aid of Blacksilver on many occasions, in battles with the gnolls and the drow. Vifur paid them handsomly in fine dwarven ale, which the Horde all too readily accepted. This lead to the increased fermentation of ale in Blacksilver and so to the increased stockpiles of grain. The grain mountains attracted dastardly poultry from the north who dared to interfere with the ale production, and for several years, Blacksilver fought hard to keep the fiendish birds away. Hohtel retired from Mayoral duties after a divine calling to aid the Antlered Horde in serving justice to all evil in the world. The third Mayor of Blacksilver was Ghalm Stoneaxe, who, having the constitution of cast iron, won the position in a drinking contest at the Silver Inn. That was during the reign of the human king, Victor IV. Ghalm was not Mayor, or Laird, as we addressed him, for very long before vanishing one day without a word. Later we learned that our Laird died courageously, valiantly and with honour in a drow attack during a hostage rescue. During the battle with the unholy Araknia, many of us fled to the extensive network of caves and mines, that run deep under Blacksilver, where we were accompanied by some adventurers. We survived in the caves and mines for a whole year during Araknia's reign of terror. The enemies surrounding Blacksilver and throughout all the land were thrown into upheval during this period. After Araknia's reign of terror subsided, we emerged into a chaotic new world. The fourth Mayor of Blacksilver was the venerable Mabel Mc Duff who campaigned on promises to return Blacksilver to its former glory. In this newly prosperous time, the Caribou Lodge opened, and both the Wraithwalkers and the Leader of the Praetorians took up residence in Blacksilver. To celebrate the freedom that had been returned to us after a year of hiding, a festival was held on Mid-Spring Day. The Festival was to be the first of an annual commemoration of The Survival and it was open to all citizens of the Kingdom of Glorwing. The Festival started with the marriage of a member of the Antlered Horde. However, this event was sabotaged by foul and dastardly actions by those of fiendish mind. The elves at our festival were poisoned, no doubt to strain relations between our races. But we were not fooled, and our unknown enemy did not win. We of Blacksilver are still on good terms with the elves and continue to welcome all citizens of the Kingdom of Glorwing and allied nations to our fair city of Blacksilver. Well being the mayor of Delta does have its perks you know. I get bitten twice as often once by the bugs in this damnable muggy weather and once by the people should I do something wrong. Just a small joke some find funny. The people keep asking me when I’m going to finish this book. So what if it’s been a few… alright I’ll be honest 50 years in the making. But the Delta just saps your strength and makes you lazy I says and most agree with me. Some often ask us why we call this place The Delta. Well... to be honest can you think of another name? Look at Darkwoods.. yes they are dark and they are woods. So Darkwoods is how they got named. Then look at Drytown.. it's dry in a desert and it's a town. Drytown is how they named it. So we thought we could name it The Delta...because it's a delta what do we get for that thought. Grief... oh yes come up with something as clever as drytown for a desert town or Darkwoods for a home in some woods that happen to be dark... not that I'm bitter about the topic mind you. But really we could call it Stemen's creek and I would have gotten just as much grief. The Delta Blues Inn, which is where most spend their days now if for nothing else then to escape the bugs after that, damnable Alenai Tarska brought the spiders to the north. I mean at first it wasn’t all that bad but then something happened and they just became all hostile and not the docile creatures she said they would have been. She turned perfectly good fields well ok they had a problem with a necromancer in those fields at one time but all we did was trade one problem for another and this one far worse. We know she meant well but she should have left well enough alone. Poor Branton is going to loose his farm if we don’t get some decent weather. It would be a shame for the poor lad to loose his new farm. What after that temple to the west was destroyed he thought to make a living on the lands and has fought harder then most to do make a living. As we couldn’t get to the graves to the north nor did we have any sign of them in the thick overgrown jungle those fields became. We had to move the graves to the west, seems lately people have been hearing problems though from the cemetery. I imagine this will be looked into by those local types that seek to make a name for themselves. The poor hilltop was once a fantastic place to go and get out of the mugginess of the delta shame old Alexis the man that ran the inn was found dead in that graveyard. Farther west, we seem to be having a problem with the Lizards that got trapped here. Seems during the year of chaos they came in. On occasion they raid our lands. This just won’t do actually, that chief is becoming more and more of a problem. That brings us to the south. The crystal coast one of the most stunning sights in the entire delta to see the sunrise and set is to understand why the area is called The Gem of Delta. Fertile soil here truth be told though it’s to wild. Packs of goblins, the rare dragons, and various creatures call the coast their home. The black knights have also been seen around the coast so it’s a wonder if they will once again start attacking the Delta. Those knights were Ex-sun guards. I was there when the king fired them and boy let me tell you these knights were not happy to have been fired from their cushy jobs. They became no more then bandits truth be told. Now the drow in their desert that was some damnable stuff that happened there truth be told. Most fertile lands to be found till the drow broke the surface and started causing us problems. They had over run The Delta during the year of chaos and many of the towns people died. My own wife was killed by those blasted drow during our fight to get our town back. That land was where the drow had been driven to and just when we thought, we had won they laid ruin upon the land with a spell the likes I have never seen. This huge orb of light just seemed to flood the land everything in it’s path was burned, chilled, shocked, and turned to sludge. It was truly, as if a ball from the pits of hell had come and devoured the lands turning once lush fields into a desert. Back in the east of delta we are having a problem with a poor soul that thought to get his wife and child back from death yet now he’s cursed to undeath all because he couldn’t deal with their deaths. I do know how he feels having lost my own wife but to go to such lengths is horrid. What did he think to have a conversation with the gods and beg for their return? As much as the goddess does for us, even she cannot bring all people back and we just have to accept that. Those guards might think us lazy but honestly, with the lands becoming less and less fertile over time we have less and less to do. It’s not so much as being lazy as just a lack to do. Bah, it’s not like the guards have any huge problems here either. They should be called the lazy ones… while they keep us safe at night they don’t improve the quality of our lives by taking the fight to the others. No rather, we have to hire out people to do this. Now who are the lazy ones huh? Eagle's Nest - A Brief History. Eagle’s Nest has always been known as the most compelling place for any mage to study astronomy as its always vast, clear sky enabled excellent visibility of the stars and the moon allowing mages to better understand and plot their current location in the world. However, a powerful mage known as Tamira was the first to settle in Eagle’s Nest Tamira originally lived in Port Sunrise. However, most people feared her strange powers. She left the protections of the port where the king made his home so she could practice her magic in peace. It wasn’t long that a mage named Fiona sought to be trained by Tamira. Fiona made the long trek to the secluded mountain range that Tamira called home. Tamira told her to wait and she would come see her someday to train her. More and more mages came getting the same answer from Tamira, “Just wait and one day I will come to you.” As the first years passed on, the people sought shelter in the caves nearby living on the land when they could. But soon, more people came, men and women who sought training under Tamira. All she told them was to wait. The caves were filled within a few years and the people started to wonder if Tamira would come train them from her secluded home in the mountains. Soon after, an inn and the first houses were developed of what would become Eagle’s Nest. Tamira thought the cold would have killed all those people off but it didn't. So, for years she watched as more and more land was taken, trees cut, homes built. The mages trained amongst themselves gaining power, and more power without Tamira's help. For 20 years, after watching them, Tamira had finally had enough. She attacked the village, out of anger for not getting the point and leaving her alone, out of spite that they were wielding more powerful magic then she, and out of fear if those powers should grow. Thus, began the first mage wars…. Just North of Eagle’s Nest lived an elf by the name of Yizzibella Steelwind who had been here nearly as long as Tamira after leaving Port Sunrise for reasons of her own. Before coming through the rift with the original expedition, she was a leader of the elven war bands who volunteered her services to Victor Lumens previously to coming through the rift. Upon hearing sounds of battle coming from Eagle’s Nest, she took it upon herself to offer her aid to Fiona and the other mages against Tamira. The battles were tough and Eagle’s Nest suffered much loss. However, together, Fiona and Yizzibella lead the people of Eagle’s Nest to victory against Tamira and her forces of Golems and Tamira Clones. Tamira was never actually destroyed however, though her powers were weakened. She had never actually left her home to join in on the battlefield. Instead, she sent her golems and clones of herself. Perhaps, this was ultimately the reason she failed in her attempt to destroy the people of Eagle’s Nest. How Dry Town became "Dry" Town. Dry Town, as it is now called for obvious reasons, was not always such an inhospitable area. The immediate area around the portal was one of the more fertile areas the settlers had found, with rich soil and ideally humid conditions for the growth of many tropical fruits. Though Dry Town is far from any coastal area, it was abundant in fresh waterways flowing into the area from the northern highlands. The immediate area around the portal was found to be the most attractive place to build their farms, having easy access to the other cities through the portal and with the many waterways seemingly to converge into one large, easy flowing river in the centre of the large clearing. They found it perfectly and naturally irrigated for them. The first settlement was built just to the south, through a mountain pass, to a wide area rich with light, strong stone, ideal for building. Mines were constructed and ran deep underground, allowing a constant flow of easy building materials. The area also seemed well defended with mountains and cliffs around almost a third of the surrounding zone. A carriage service was also set up for the farmers in the morning and afternoons from the city to the farms. The city and farming businesses were well managed and the life of the town went well for the most part. Unfortunately the miners were too ambitious, digging deeper into the depths of the world under their city, even hiring a few Dwarves to lead some of the operations. The miners didn’t relent until finally they came to massive cavern. A few messengers sent the excited news and burning material was hurried down to light the perpetually dark subterranean cave but unfortunately, no matter how large the fires burned, there seemed no end to the darkness. The mining went on, hundreds of miners milling into the massive, endless cavern and ripping it apart. As the weeks dragged on, miners started to murmur about shuffling and movement seen through the corner of their eyes… a scream was even heard but the origin couldn’t be found and later that week they found a man missing with a splatter of blood on a few stones where he was last seen. Management blamed it on falling rocks for they didn’t want to discourage the enthusiasm of the labourers but as the months went by, a few more men started to vanish and rumours of things seen and unseen became more frequent. The miner’s minds were planted with seeds of fear and the ambient sounds of the underground became more acute and frequent, forming into whispers and shuffling of feet. Finally one day in the underground, the miners labouring away with loathing fear, the cavern shook slightly, the miners knew their duties and were all to happy to leave the hazardous area in the case that it may cave in. The ground shook once more and all fell silent and stopped in their tracks as a guttural and inhumane groan of pain was heard echoing from deeper inside the cavern. The origin was undeterminable in the massive echoing cathedral of the underground. There were heavy, soft footfalls slowly growing closer and the miner’s hurried to the exit shaft as fast as they could until one screamed in unearthly fear and terror as a rotted and decaying hand sprung from the ground and clenched around his ankle with unnatural strength. There was a moment of silence then a skeletal form with rotted pieces of flesh hanging from its bones and shreds of clothing staggered into the light, moaning in agony and anger then panic erupted in the cavern. The cavern suddenly started to shake more violently and falling water was heard in the distance but nothing could be done but to flee. The miners rushed and constricted the exit, trampling each other on the ground and crushing them against the walls but escape was impossible for the entire mass of workers… More and more rotten men rose from the ground and were discovered by a few to be undead former comrades who had gone missing, no longer comrades with that Abyssal red glow in their eyes. Slowly but surely the miners were slashed, bitten and crushed to death by their unworldly attackers, only a minor handful escaped and sent word to the Mayor of the town. The Mayor could do nothing as the few soldiers they had had become miners themselves through lack of hostile forces, not that he believed the few drunken men anyway. Nothing happened for the rest of the day then slowly and surely that night the undead minions, including the newly infected former miners, trudged hopelessly out of their tomb into the town. The town was slow to react as the undead killed the citizens in their sleep, adding those they killed to their numbers, growing until a counterstroke of the town was impossible. Finally shrieks and shouts started to ring through the town with a certain harmony, lulling the undead into a more refined bloodlust and increasing their ferociousness. The slaughter went on and people soon realized their hopes for keeping the town was naught. The few citizens surviving, less than a hundred, packed what they could and made for their farmlands and portal for they hoped that perhaps help could be drawn from the other towns. When the townspeople arrived at their calm and safe glade they were met with an alien environment to them. It was the early hours of the morning and the sun had started to rise, sending an orange glow over the area. The townspeople could see that the tremors had seemingly spread further than they had expected and now, where their majestic river one ran, a missive gorge had split the area in half and the many smaller rivers were emptying what little water was left in the area into the unseen depths. To the north, the topography had shifted and water no longer flowed down from the north. Some of the townspeople cried with grief while some tried to create crude dams to save their precious waterways and others hurried through the portals to find help or escape the sight. The efforts of those who tried to save the water amounted to nothing and they watched in despair, as the rivers died to a trickle then nothing. Their only reassurance was that their undead wives, children, friends, fathers and husbands had not followed them but seemingly stayed near to where they had come from. In the months following, the townspeople watched the massive ball of flame in the sky sear and wilt their crops to dust and all vegetation slowly died despite their efforts to freight water from the other towns to their area. This did not discourage the townspeople as they felt hate and the need for revenge on whoever was responsible brewing in their now grief stricken hearts. They built a new town and found that the area around them had changed somewhat more than they had expected, opening passes to the east and north. To fuel their despair, ruthless minotaurs were discovered to the west and some solitary but ferocious Rakshasas to the north. All their hope was lost but a few had some still remaining in their hearts and built up defences around their crudely constructed town, fending off the minotaurs as best they could. The Kingdom also sent a contingent of Sun Guards to defend against the newly discovered foes. This slowly raised the spirits of some of the townspeople and some even had the courage to return to their former town for the sweet feeling of revenge but none ever came back. A Short History of Crescent Bay. Exploration through the portals had slowed as more settlements were founded, and more time and resources were being spent defending the settlers from hostile creatures. During a relatively peaceful period, the elderly Victor Lumens sent the 6th expedition team through the portal the furthest from Port Sunrise. The expedition team smelled the sea and heard the sea gulls, and realized they were by the sea, just like Port Sunrise was. The explorers watched the sun go down over the crescent shaped bay and reported back to the king. Thinking this could be another port to explore the new world by sea, word was spread to encourage people to visit the portal at the crescent bay. Amongst the first settlers were the Mammon family and Meriom Rainkin. They had been doing business in Port Sunrise where competition was tough and city taxes were high, but now the prospect of founding the commercial and financial backbone of a new settlement, that had the potential to be the hub of seafaring trade routes, encouraged them to pack their bags and head for the bay. It did not take long for the Mammon family to establish the Crescent Bay Bank whilst Meriom helped Viola establish the Cornerhouse Inn. Viola let a room in the Inn to Meriom who bought and sold weapons, armour and trinkets from there. Viola also let Margureida Cornflower sell her range of clothing from the small trading room in the Inn. Shortly after the first settlers had settled in the newly named Crescent Bay, the town was raided by a horde of wandering goblins. Old adventurers to this day tell tales of when the women and children were loaded onto boats to seek refuge on the water, while the warriors protected Crescent Bay during the night attack. The tales relate that the settlers were outnumbered 3 to 1 but fought valiantly and saved the young town. After the goblin attack a stone wall was built around the town for protection. During the reign of Victor II, Crescent Bay started having more trouble. The hill giants from the eastern hill country began raiding the settlement. A little while later some orcs moved to the north shore of Crescent Bay as they thought the new town was easy pickings. The Mayor of Crescent Bay hired mercenaries to keep the hill giants and the orcs at bay. Some of the mercenaries that the Mayor hired were hunters that used large strong dogs. These hunters settled in Crescent Bay with their dogs, and Crescent Bay to this day often rings with the sound of dogs barking. At one time one pack of these hunting dogs escaped the settlement and established the mangy dog pack in the salt flats to the south of Crescent Bay. Crescent Bay flourished as the low taxes there enabled the Mammon’s to offer the best loan rates around and for Meriom to offer the best prices to adventurer’s as they passed through, selling their goods. Often there was simply not enough room for all the adventurers to fit into Merioms trading room. During the reign of King Victor III the Engineers Guild and the Order of Erudition set up offices in Crescent Bay. In this time of prosperity, a royal festival was held in a paddock by the waterfront. The Royal Bard, Morlock, hosted the festival. During the reign of King Victor IV Zitch’s Food Shoppe and Brewery opened offering adventurers and courting couples fine dining facilities. Around these times, the Mayor of Crescent Bay had a permanent campfire built outside her office that quickly became a central meeting point for citizens all over the Kingdom. Crescent Bay saw many battles in the days before the Great Battle with Araknia. There was an attack of undead from the sea in ships carrying plague rats. Disease was rampant and Crescent Bay was quarantined. The engineers were assigned the construction of ballistas to launch missiles at the ships. Afterwards the ballistas were dragged back through Crescent Bay to the engineers guildhouse. The lampposts at the crossroads in Crescent Bay were knocked over in the effort and have yet to be replaced. On other occasions the weather would turn, the land would shake, the darkness would fall and the drow would attack. Tales are even told of the day that the gods wrote “doomdor” in fire across the town. During the last battle, many warriors fought many demons and dragons and drow. Lord Tane of the Darkwoods, the acting regent, ordered the retreat to the Standing Stones and the portal was sealed for a year. Meriom, Viola, Margureida and the Mammons had escaped via the sea, but they returned as soon as they could. Meriom set to work building his own Pawn Shop by Crescent Bay Bank, expecting the adventurers to return one day with loaded bags. As observed in many places, there was a huge change in the lands surrounding the Kingdom during Araknia’s Reign of Terror. The orcs and the hill giants moved on and other hostile creatures took their place. Crescent Bay remains the center of attention for adventurers, so much so that the Mayor bought larger benches for around the campfire. As always, the presence of such large numbers of fearsome and heroic adventurers continues to attract hostilities. Nearly 300 years ago, Dun-Ammon existed as a small trade city, located on one of the trade routes in a vast desert in its' mother world of Eenthivera. Mostly escaping notice except from those who were traveling the trade routes, Dun-Ammon remained relatively small compared to some of the sprawling civilizations of the neighbors in more temperate climes. As the trade routes became less traveled, Dun-Ammon fell into a state of disrepair. The people who lived there gradually trickled away to the other more hospitable cities and the old civilization of Dun-Ammon gave way to the sands, becoming buried, many of its' lore and traditions lost in the desert sands. In the capitol of commerce, Lyrun, one of the greatest of the high mages, specializing in necromancy, opened a gate in his exuberance to discover a way to stave off his own impending death. The gate quickly grew out of control. Undead spewed forth from the gate, growing in numbers as the gate itself grew in size, quickly enveloping Lyrun. A few citizens of Lyrun made it out of the city and away from the impending horde of undead threatening to destroy Eenthivera itself. Some of these citizens fled along the old trade routes in the desert and came across a few spires sticking from the sands-all that remained of old Dun-Ammon. As the great cities of Eenthivera fell to the ever-increasing armies of undead, those that found the ancient ruins of Dun-Ammon began to build a bastion to defend themselves from the threat of the living dead. A man named Sysan, known for not only his strategy but his draconian way of dealing with situation, was elected as the new leader of the efforts of new Dun-Ammon. In the hundred years that the rest of Eenthivera tried desperately to reverse the problems opened up within Lyrun, Dun-Ammon built and researched the undead. The small city had a transient feel to it, and outside the bounds of the small houses and narrow lanes, tents and low houses spring up like weeds as more and more people of the great cities of Eenthivera fled to the deserts to escape the living dead. A palace was built, and Sysan named himself the first Sultan of new Dun-Ammon. The will of Sysan was carried out by the feared assassin and enforcer, Chancellor Morgarma Bloodhand. Not much of his history was developed, besides that he likes to garden, lost a hand in a fight, and ritually gouges his remaining one before a fight. His skills as a warrior were unmatchable and legendary, and it is rumored that he was promised by a dark god that he would live as an immortal until killed in battle. He commanded the Swords of the Sultan in doing the dirty work of said Sultan. Sysan knew that the undead would not be beaten with walls and weapons. To combat this horde, Sysan instituted harsh laws that applied to all of the people. These laws became imbedded into the way of life of new Dun-Ammon. Those that died were taken to the Licheyard to be properly prepared for death and prepared against undeath. All citizens, regardless of status or rank, were beheaded upon their death. Their bodies burned in the fires of the Licheyard and their ashes entombed in urns that began to collect around the boundaries of this so called Licheyard. Dun-Ammon, despite these efforts, was fighting a losing battle. In an effort to learn more about the problems facing Dun-Ammon and Eenthivera, Sysan established the Cabal of the Grey. This Cabal, comprised of some of the greatest necromancers left alive on Eenthivera, was given the duty of researching the undead and discovering ways to combat them. Growing in power, the Cabal discovered ways to make themselves immune to many of the attacks of the undead. The Cabal began a practice called the grafting, in which the left arm was removed in a painful surgery. The arm of a cadaver was then grafted in its' place. Despite the goals of the Cabal, the citizens of Dun-Ammon treated them with cautious respect and fear. Years of preparations finally ended as the undead horde, destroying the rest of Eenthivera, finally reached the boundaries of the desert refuge. To buy more time for the Cabal, Sysan met the undead in the desert. Sysan and Morgarma fell in battle, trying to defend this last bastion of life in an otherwise dead world. One of the Bloodhand's greatest warriors, Xerxes, a gnoll by birth was elected as the new Sultan. Xerxes fierce warriors were able to hold off the attacks on the city, but the end was inevitable. No matter how many undead fell to the cities' defenders, more undead rose to replace them. One by one, the defenders began to fall. In a last effort, the Cabal began a mass incantation. All of the necromancers began to together cast one last spell, thought to make them immune to the change that would come to them in death. Change did happen, but not as predicted. The wild magics grew out of control. The desert sand hummed, the winds stopped, people and undead alike stopped in mid battle to stare at the growing light surrounding, enveloping, overwhelming the temple of the Cabal. The light died down and the painful humming subsided. Those few survivors of Dun-Ammon looked around at lands changed. The undead were gone. The city and the ruins it was built upon were intact, but the surrounding landscape was changed. Eenthivera was no more. The new Dun-Ammon has survived, but at a terrible cost. Xerxes ordered search parties to scour the desert for signs of life or signs of the undead. Finally one search party stumbled on a settlement called Dry Town. New Dun-Ammon began to rebuild. whole village was the aptly named 'Journey's End Tavern'. Most records of Raven's Call's beginning were lost during the various rains, floods, and wars that have beset the small island. Raven's Call has always been a place where records are sometimes better left unkept, so it is not something that bothers its councilmen. A few segments of the journals of various leaders have survived though, and have been recopied and bound into a new volume for any wishing to study the island's history. From the hand of Rilanach Daniolan the Third, Head of the Merchant's Guild, First Councilman of the City of Raven's Call. Despite my better judgment, the Council has decided that this rainy place will be where we settle, rather than setting out again to search for warmer and less wet climes. This island has advantages, of course. It has natural breakaway sections that should make for admirable docks and shipyards. There's also a great deal of unusual plant life that our healers assure me can be made into various medicines and poisons. Much as I would have preferred a less grim place, it is high time we settled. It has been nearly five years since the lot of us set out from Port Sunrise, where the newly named King had already begun to set in place oppressive laws and grandiose armies. It's likely a martial state, murmuring constant prayers to some distant sun goddess, by now. Thanks the gods we're free of that, ironic as such thankfulness may be. There were five hundred of us strong that rebelled and left, but the trip was difficult and only three hundred made the final trip here, perhaps more. The heads of the future trade guilds are alive, save one, and his apprentice has stepped into his place the woodcutters and the shipbuilders are already making plans to begin the harvest of the woods on the island to begin building. We have the ships that brought us though, so it is the will of the council that these ships will be used to establish trade, while the builders here put the building of homes and buildings as first priority. The island is barren of any civilization, it seems. It will take time for it to be livable. Few mages joined the call to leave – too entranced with those newly discovered portals – but we've a good mix of other skills here. The fisherman amongst us claim that the waters are ripe for fishing, and our lone druid already begins to study which plants will grow and thrive in this rain. The council is set now, rather than the informal arrangement we had when still we traveled. The heads of each of the five major guilds, with one elected to head them; Merchants, Craftsmen, Shipbuilders, Farmers, and Guard. Should we ever again acquire an Arcane center here, their head will be added to the list. Still, I wonder if this was the right path. Victor's rules were stifling, and he refused to listen to reason – but we are few who came through that ill-fated rift. Perhaps we should not have split them so widely apart. But it is done. We will thrive here. Master Narshab of the Shipbuilder's Guild is proving problematic, and demanding. I need speak with his guild and perhaps see if a change in leadership is not in order. He is a poor choice. Things move apace. Already we've housing for all – though not of greatest quality – and begin to build shops and warehouses for the excess timber. Trade contracts have been set in place with Victor – not as lucrative as I'd hoped, but they can be renegotiated in time – and our druid has found a rare grape that grows only here, that we know of, and thinks it can be made into an unusual and excellent wine. The first batch will be ready for tasting next fall. The Council met over this past weekend, and a name was decided upon. The only wildlife easily seen here when we first docked were the raven's – whose incessant calls nearly drove us mad. Raven's Call seems an appropriate title for the place. Though I favored "Unfettered Alliance", as we're free from Victor's laws here. From the hand of Gritgin Narshab the First, Head of the Shipbuilder's Guild, First Councilman of the City of Raven's Call. Regrettably, my predecessor's ship sank during a trading voyage to Port Sunrise. Without his skills as a trade negotiator, King Victor Lumiens is proving unreceptive to lending us any aid. Raven's Call stagnates, unable to complete its building projects. The council meets tomorrow to discuss the circumstances of Daniolan's death, and to plan our next step. It may be we need make some concessions with the King to gain some much-needed supplies here. Meetings with the King again did not go well, though we manage to procure some smaller trade contracts with individuals on the mainland. The council meets today to decide whether or not to swear Raven's Call as a loose vassal of the King, ruled by a governor of his choosing. It is done. The King has chosen, thankfully, to allow one of the Council to serve as Governor. It seems I am the natural choice, I'm sure the rest of the Council will feel the same. Our new city reels still from the sudden loss of both my husband, and his successor. Gritgin Narshab did an admirable job during his short tenure, I'm sure he will be missed by his guild, as well as the city. He was attended in his death by my sister, Carria Bellivin –head of the newly formed Alchemists Union. The Council has been re-ordered. The Shipbuilders will no longer have a member represented, as they are far too busy and have no candidate capable of taking poor Gritgin's place. The Alchemists Union will take their place, with my sister happily being their chosen representative. After much debate, I have elected to restore the Shipbuilders to their seat within the Council and simply add a seat. Arrvil Callou will be their chosen representative, and I'm sure he will do an admirable job of it. We've established agreements with a number of groups within the mainland of Glorwing to export our stock from the docks to the more distant cities through caravans. We feel this will be mutually beneficial. The King retained few Captains worthy of sailing the treacherous routes between the distant cities, so rather than selling him ships, we have instead taken contracts to add to our fleets, and run a passel of trade ships exporting goods and passengers to and from the cities. Not all people trust to the portals when moving their loved ones and valuables. As I have, regrettably, no child to follow after me, the Council has elected that succession of the title of Governor will pass by way of merit, rather than by birth. As such, my nephew, Huurl Callou will serve as Governor when I pass, as well as taking his mother's place at the head of the Alchemist's Union. Thanks to the efforts of my aunt, and myself, Raven's Call rapidly takes its place as a center of trade and diversity. Our former lack of arcane-minded citizens has been alleviated by a recent ship full of mages who have made Raven's Call their home. They are attempting some weather controls spells in the hopes of making Raven's Call slightly drier, but they are doubtful of its success. The new sewers are finally complete, and the flooding in city streets should halt. Mages have been forbidden from attempts at weather magic within city limits. The Council was restructured in our last meeting. The head of the guard agrees that military matters have little say in the governing of the city, and they remove themselves from the Council. The Arcanists, though small in number, have proved a great boon to the city – flooding aside – and have won a place on the Council. The Council now consists of the heads of the following guilds: Merchants, Craftsmen, Shipbuilders, Farmers, and Alchemists, and Arcanists. I reckon the King will be pleased by what he sees here, on his visit next week. Shipbuilders been workin' overtime on the ship that's bringin' him – makin' it spiffy and elegant like. Council been clamorin' for independence lately – break away from Victor's rule. I don't much see a reason for that though. We all benefit from the relationship, way it is. No reason to change it. The majority vote agreed with me – after a bit of persuasion. Some of the rich folk are none-too-happy with a common-folk governor. But they'll get used to the idea. The laws regarding public casting of magics have been loosened. Beneficial healing spells are allowed, regardless of their origin, and can be cast publicly. Offensive spells are still forbidden – as is only natural. We may not carry the same strict rules as the mainland, but we are not a lawless city. The addition of the Thlix the Younger as Archmage and head of the Arcanists seems to be a great boon to our city. A mage and scholar of great talent, perhaps it's time to once again lift the stricture on weather magic and attempt to control the rains here a slight bit. In Gabriel's absence, the city is a bit chaotic. Evens on the mainland bleed over to Raven's Call in smaller amounts, and it's been necessary to add to the Guard to keep the peace. I have been appointed acting governor, and suspect I need only wait until the next Council meeting to have it made official. The bard, Sindil Vendulin, who often plays for the parties of the Council members, has told me that my appointment seems all but official, from what she has heard. I must return to the mainland soon to meet with King Victor, and to congratulate the queen on her pregnancy. I think that I will go immediately following the meeting. A constant conspiracy that comes up these days is that Cassandra cannot possibly be the daughter of Victor Lumens IV and Isolde Lumens. It is quite possible that she is an impostor, or worse, a puppet of her guardians propping her up to be a false monarch. It is quite possible that these allegations are true. After all, is it such a leap when you have several facts staring you in the face? Cassandra is several years younger than Victoria. This isn't even in question, she is. Cassandra was barely eight years old when Victoria entered her early twenties. With the given accounts surrounding the birth of Victoria, there is little possibility that Cassandra could have been born to Victor and Isolde. Victor died and ascended shortly after Victoria was born. Isolde left us not long after, leaving the McDuff clan to raise the child in secret. Cassandra herself does not acknowledge Victor and Isolde as her parents. To her, Dominic and Lanna Mirel are her parents and her true name remains Crysannia Mirel. She would even tell you herself that they raised her from her earliest memory. Cassandra just "happened" to acquire the Signet of the King and Isolde's wedding ring. A much more likely story is that they were given to her by her father Dominic in order to prepare her to be Queen with him as Chancellor and the real power to the throne. His chancellorship was his idea, after all. Also just as likely is that those rings are fake. Keep that in mind. No, there's too much evidence to actually believe that Cassandra is the daughter of Victor and Isolde. What would have to happen is that Cassandra would have to have been born at the same time as Victoria, taken from Isolde with her consent by some secret, shadowy organization before the party searching for her and Victor got to her, used the Rifts to displace her in time, find suitable parents to hide her away quietly without anyone's knowledge, be raised as their own daughter without ever letting on that she is a Lumens for nearly a decade, and only when it was absolutely necessary to inform her after an assassination attempt that she in fact a Lumens, thus why she also doesn't acknowledge Victor or Isolde as her real parents. Somewhere in all that, the Rings would have had to fall into her possession, either by someone like the old Regent Alyssa Nurell, or maybe the Lady Herself gave them to the girl. Maybe she is the daughter of our dearly departed King and Queen. But really, who would believe a story so ludicrous as that? To manage the logistics of such a conspiracy so completely and effectively would be absolutely astonishing to say the least. But in this day and age, who's smart enough to pull something like that off? And don't try to sell me on that Eclipse nonsense, everyone knows that's just a rumor started as a joke by Morlock. Seriously, please stop wasting my time with that. 160 was a bad year. The being that became known as Eve decimated Crescent Bay and the Delta along with that year's harvest. The Delta was so badly wrecked that the Regent declared it a disaster area and prepared to evacuate the citizens to better territory. It would be discovered later that the original plan was to eventually resettle the land, but the message was lost in the moment. Many refused to upend their lives, even if it meant the Delta was largely uninhabitable. They would tough it out. The Crown Guardsmen were ordered by the Regent, Alyssa Nurell, to arrest and relocate the remaining citizens by force if necessary. Enter the Antlered Horde, and in particular one Kep Falcon. Along with his allies in the Lancers, they stepped up and defended the town from what was perceived as Crown tyranny by an unaccountable Regent. Lady Nurell responded by withdrawing all remaining Crown Guard soldiers out of the Delta and concentrating them in defending other territories from threats preying on a severely weakened Kingdom. And as expected, the Lizardmen aggressed upon the Delta and forced a brief but brutal conflict in which the Horde and Lancers prevailed. Some elements of the Crown Guard would defect to the Delta, as it was their homes as well. It was not known, but these events would touch off the beginning volleys of what would turn into a far greater conflict. Regent Nurell assembled within the Crown Guard a subset of soldiers who were loyal to her personally and began replacing people within the government whose primary trait was their loyalty, less so their actual ability. The nobility of Port Sunrise, seeing their own influence in the government waning, formed a Nobles' Council to attempt to stem the tide of this budding dictatorship. They, along with elements of the Crown Guard that remained loyal to the ideals of the Kingdom at large, began funneling support to the Delta, creating a massive standoff between fast-splintering factions. As outsiders observed, the Dwarves intervened in efforts to maintain the peace while taking a principled stand that any attacks by Port Sunrise against the Delta would end badly for all sides. They sent their own Thane, Kurn Graybeard in to settle matters peaceably, and it seemed their efforts were paying off. But as surprised everyone, Alyssa Nurell, the Regent, fell ill suddenly, and died within days. Tensions froze as the Kingdom began immediate deliberations to try to install a new ruler that was not only an effective leader, but committed to the cause of peace. Enter Benjamin Harris, one of the founders of the Nobles' Council and a sympathetic figure for the Delta. Lord Regent Harris assumed his role and at first began deescalating the situation with the Delta, heeding council by his contemporaries in the Council and Blacksilver to allow the safe return of the Delta to the Kingdom. However, after weeks of careful negotiations, he suddenly broke off the peace talks and began making one-sided demands of the Delta leaders. His sudden about-face surprised even his allies in the government and the Council, and suddenly the Crown Legion, created under Alyssa Nurell, began asserting direct control and even jailing leaders of the Council. Lord Harris ordered the Council disbanded under the threat of charges of treason. When the Council refused, he ordered the Crown Guard and his Legion subordinates to execute his orders. The Legion did as they were told. However, the Commander of the Crown Guard, Commander Lypher Silia, along with the nephew of the now-departed Alyssa Nurell, Alexander Nurell, defied orders. They spirited away a great number of families of the Council, including a minor noble family led by Dominic Mirel and his wife, Lanna Mirel. Soon after events in Port Sunrise died down and the Crown Legion assessed the defections of Commander Silia's men, the Regent issues blanket warrants for all involved in the "consipracy" to defy the justice of the Kingdom. It soon became apparent why he had taken such drastic measures: the daughter of the Mirels, Crysannia Mirel, was discovered to be Cassandra Lumens, the daughter of Victor Lumens IV, and the true heir to the Kingdom. The Regent attempted to assassinate the Mirels and take the signet ring of the King to declare himself the rightful ruler of the lands, which had fallen into the hands of young Crysannia. His plot failed, the Regent turned his attention towards the Delta once more. He issues one last ultimatum: surrender or be destroyed. The Dwarves along with Thane Graybeard stalled the Crown one last time while the Horde and Lancers were able to escape. The remaining civilian government in the Delta surrendered to the Crown when they arrived, as its people once again refused to leave. They would tough it out, even under the rule of a tyrant. At this point, the Crown forces were divided between those loyal to the Regent and those loyal to Commander Lypher Silia and the rightful queen, Crysannia Mirel. Realizing their strategic weaknesses remaining in the Glorwing highlands near Liana, Commander Silia directed his soldiers towards Blacksilver. Having realized the Dwarves were firmly on the side of the rebels under Silia, the Regent declared war against Blacksilver City and began deploying the Guard in force towards the North. It is around this time that an unrelated event occurred, and the Standing Stones began failing, causing serious logistical weaknesses in the Kingdom's ability to project its forces across the continent with speed and efficiency. This allowed the rebel forces time enough to reach Blacksilver, and initiate an all-out attack on Eagle's Nest in the Frosthorne. What was not known at the time was that the rebels had already secured an alliance with the Arcane Academy, and they disrupted the Crown Guard's ability to see the attack coming. By the time they realized what had happened, the Nest was hopelessly surrounded and taken without a single sword swung, a spell launched, or an arrow shot. Although the rebels took the Nest so easily, it would be the last time they would be so lucky. By the time the year 162 dawned, significant parts of the Kingdom were in open rebellion or had already declared independence. With Port Sunrise unable to project their forces through the Stones, they concentrated their forces in the contiguous Port Sunrise-Delta-Dry Town-Crescent Bay corridor. The spent much of their forces quashing insurrections in the Delta and Dry Town while Crescent Bay remained mostly calm. However, they were forced to cede their holding elsewhere, especially Eagle's Nest and Arbar in the Frosthorne, their assets near the Dun-Ammon borders, and their holdings near the Darkwoods and near Blacksilver. This did not mean the Kingdom was out of options for dealing with the rebels. Far from it, the Crown Legion employed a number of morally-questionable people who were willing to do the worst of dirty deeds in the name of the Regent. And so one such group was sent to Eagle's Nest. They infiltrated the city, and headshot the leadership of the rebel faction including Commander Silia and much of the Crown Guard command staff before they were vanquished themselves. 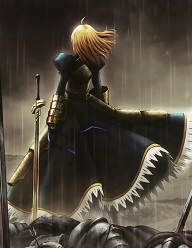 However, they failed in their mission to kill the young unascended queen, Crysannia Mirel. In their darkest hour, demoralized ready to break apart, the rebels received aid they never expected: both the Sun Goddess and the Helmsman appeared before Crysannia and the populace at large. The Helmsman confirmed the true name of Crysannia, named Cassandra, and He told the tale of her's and Victoria's birth to some few in private while the Goddess gave Her blessing to the people and Crysannia in particular, though She did not anoint her the next ruler of the Kingdom. Although not instilled with new power, the rebels reformed themselves as the Queensguard and installed one James Gardiner as Commander, and with that authority he directed others such as Myrddin Ariandarig, Kep Falcon, Allaya Adjanti, and others to assume new roles, transforming their rebel group into a more flexible organization that was far more capable than ever before. Also during this time, the Queensguard negotiated with the Elves of the Darkwoods and the Shadow Guard of Dun-Ammon in attempting to entice them to join the war against the tyrant Regent in Port Sunrise. Undeterred, the Queensguard knew they had to push the Kingdom. By this time they knew there were pockets of resistance in every city, and they settled on their first target: Crescent Bay. Although this is the moment the first true battles between the two factions began, the years of build-up to this moment were especially crucial. The Kingdom's Crown Guard outnumbered the Queensguard and their Dwarven allies badly, but the brain drain from the Kingdom left them vulnerable with regards to leadership and without the Stones, their ability to project their forces was almost non-existent. This would be crucial towards the plans of the Queensguard, as they pressed the first battles against the Crown Guard in and around the Fertile Crescent, and forced them back into the city. It is believed that the fighting between the two forces triggered the massive response by the ogres who took advantage of the fighting to smash into the Bay directly. With the city being overrun, the Crown Guard attempted to fight them off, but between their losses to the Queensguard and the attacks on the city, they were being decimated. Realizing the gravity of the situation Crysannia ordered the Queensguard to intervene and defended the city from the ogres. After weeks of battling the ogres, they finally lost their momentum and were beaten back. But because of the larger war and that the Queensguard had also deployed forces to harass the Crown at Dry Town, the Crown Guards at the Bay were given orders to take the queen and all Queensguard commanders into custody and execute them immediately. The remaining Crown Guard commanders in Crescent Bay instead surrendered, unable to execute the very people who assisted them and saved the lives of so many despite the danger of trusting who were their enemies only a short time before. With Crescent Bay secured, the Regent ordered his Legion to harass the Queensguard in much the same ways they had received it themselves. In the open regions between Crescent Bay and Dry Town, numerous skirmishes took place, each side probing the others for weaknesses. In the worst loss, the Queensguards' Lancers were ambushed and annihilated, leaving them without their best first-strike units. This seriously slowed down their main army's advance towards Dry Town and would force both sides to a stalemate just outside the city. During this time, negotiations between Crysannia's government-in-exile and Dun-Ammon had remained stalled. Sultan Akar al'Dorib was unimpressed with the Queensguards' advances of late and (perhaps wisely) refrained from entering the war on either side. What wasn't known at the time was that the Sultan had sent envoys to Port Sunrise and were nearing a pact of alliance. On their return trip to Dun-Ammon, the envoy was attacked and murdered. In their investigation, they found the envoy had recovered evidence that the Kingdom was planning to betray them after the war and invade the Sultanate. The more the Regent professed their innocence, the more convincingly guilty they looked, and the Sultanate attacked several Crown holdings on the border between Dun-Ammon and Dry Town, then declared war. Faced with a war on two fronts, the Crown Guard was forced into a defensive position around Dry Town. What they didn't realize was that the Commandante of Dry Town, Antonia Scylla, was funneling information to the Queensguard that was aiding them in outmaneuvering the Crown Guard. By the time Scylla's duplicity was exposed, the Crown Guard had lost several fights betwen them and the Queensguard, and were forced out of the deserts entirely by the combined Queensguard-Blacksilver-Ammon forces. But before they were forced out, the Crown executed Antonia Scylla and a number of her suspected cohorts. After Dun-Ammon entered the war, the Regent was more desperate for help than ever, and in a significant blunder, alienated the Darkwoods Elves with a number of unfiltered responses to their declinations to join the war effort against the rebels. The Darkwoods council recalled their ambassadors and other observers to the Kingdom. It is believed that this is where the Regent began directing the war effort, overriding his own officials and military commanders because this is when the Darkwoods was directly threatened by the Kingdom for failing to aid them. Although the Elves do not generally respond quickly, they came to their own conclusion that if the Regent were victorious, he might actually be unhinged enough to carry out his threat. Facing such a scenario, they put together a volunteer force and sent them to aid the Queensguard. Although small in number, these forces would replace the loss of the Lancers in the coming attack on the Crown at the Delta. With the Hall of Valor as the bulwark, the Delta should have been impenetrable. But by this time, the Crown Guard was faced with deteriorating morale and borderline incompetent leadership. Along with a civilian resistance at the Delta, the sheer number of desertions and acts of sabotage against the Guard left them vulnerable in an otherwise heavily fortified location. The Queensguard and Ammonite forces occupied the attention of the frontlines while the Elves, Horders and Dwarves struck at the Delta from the north. Although their forces were mostly equal in number, the variety of types of attacks proved too much for the rigid Crown Guard, and their norther defenses were routed. Once they entered the town and split the Crown forces, the Hall eventually surrendered while the remainder of Crown forces retreated to Port Sunrise. Accounts of events during this time are confused. The battle for Port Sunrise did take place not long after the fall of the Delta, but the siege of the city lasted only a few days at most. Although the Crown Guard was collapsing and the government was cascading from within, it should not have taken so little time for the city to fall to the attacking armies. It is said that someone simply opened a door and let the invaders in. Another account speaks of infiltrators that opened the way via the sewer system. There are various stories of what happened, but regardless, the only consistent story is that the Regent left the Castle of the Sun on the last day and was discovered at the top of the Arcane Academy tower. There, one final fight took place, though it isn't clear who participated. All that is known is that the Regent Benjamin Harris was marched in chains, and the last pockets of fighting ceased as the last Crown Guard officers surrendered. In the immediate aftermath, Crysannia Mirel declared she would take the throne immediately, and instead directed her father Lord Dominic Mirel to assume the role of Regent until she came of age. Lord Mirel organized a new provisional government and began negotiations with Blacksilver, Darkwoods and Dun-Ammon to formalize their wartime alliance into a peacetime economic arrangement. The economies of almost all nations had been decimated by the years of fighting, which took a secondary toll: several years worth of crops out of the Fertile Crescent were destroyed or otherwise consumed too rapidly for supply to keep up. By the time the war ended near the end of 163AR, the Kingdom was bankrupt and manpower was severely depleted. The Dwarves buoyed their economy by selling more weapons during the war, in some cases to both sides. Dun-Ammon most certainly came out the winner as they sold provisions to all sides until the Sultan formally entered the war. He made a significant number of his friends wealthy and created a number of cartels that continued doing business and other illicit deals after the war as they found newfound influence outside the confines of the Sultanate. The Darkwoods was least affected and simply returned to their woods, having avoided sending the bulk of their young people to die in war. Perhaps a little surprisingly in the years after the war (and less surprising to others depending on your view of the world), the Delta, Dry Town, Crescent Bay, and Eagle's Nest all eventually returned to the fold, and the Kingdom now awaits the ascension of its new ruler, Cassandra Lumens.